In 90 minutes, enough sunlight strikes the earth to provide the entire planet's energy needs for one year. While solar energy is abundant, it represents a tiny fraction of the world’s current energy mix. But this is changing rapidly and is being driven by global action to improve energy access and supply security, and to mitigate climate change. Around the world, countries and companies are investing in solar generation capacity on an unprecedented scale, and, as a consequence, costs continue to fall and technologies improve. This publication gives an authoritative view of these technologies and market trends, in both advanced and developing economies, while providing examples of the best and most advanced practices. 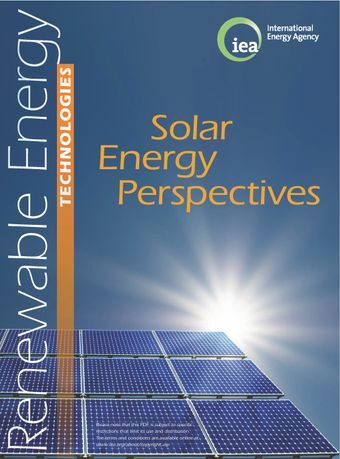 It also provides a unique guide for policy makers, industry representatives and concerned stakeholders on how best to use, combine and successfully promote the major categories of solar energy: solar heating and cooling, photovoltaic and solar thermal electricity, as well as solar fuels. Finally, in analysing the likely evolution of electricity and energy-consuming sectors – buildings, industry and transport – it explores the leading role solar energy could play in the long-term future of our energy system.